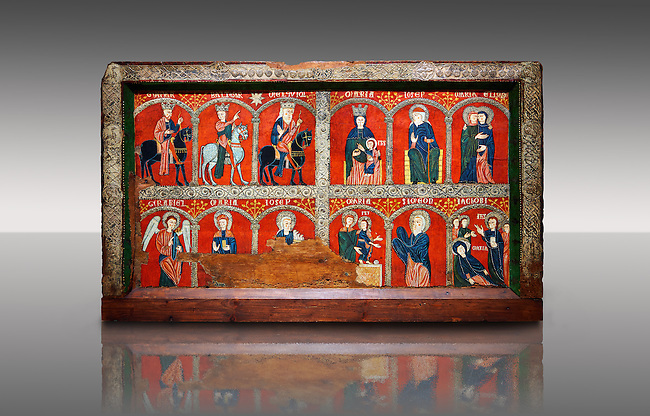 Romanesque thirteenth century painted altar front from the church of Santa Maria de Mosoll, Das, Baixa Cedanya, Spain, showing scenes from the life of the Virgin Mary. National Art Museum of Catalonia, Barcelona 1922. Ref: MNAC 15788.